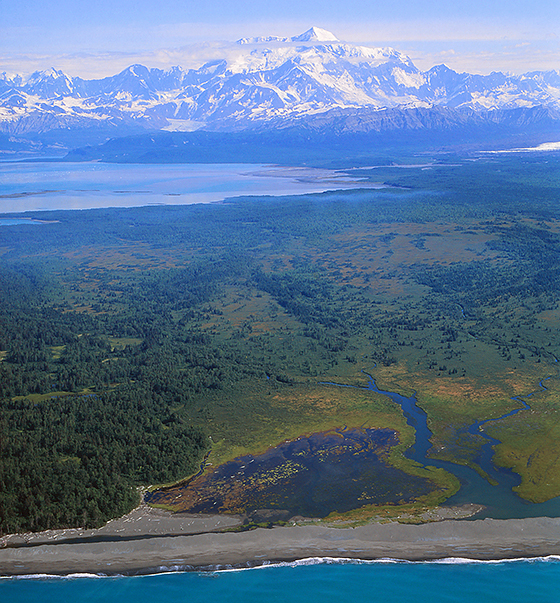 The Yakutat Forelands are where the Tongass rainforest and the Chugach forest to the north meet. 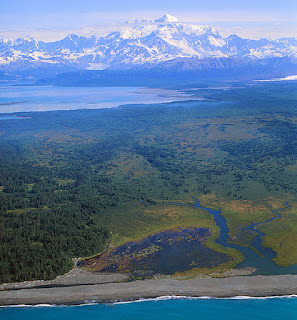 It is also home to many large glaciers, a stunning coastline, the huge Alsek-Tatshenshini river, and Icy Bay, which sits at the foot of Mount St. Elias, the greatest vertical rise from sea level in the world. There is a lot of powerful energy out here. 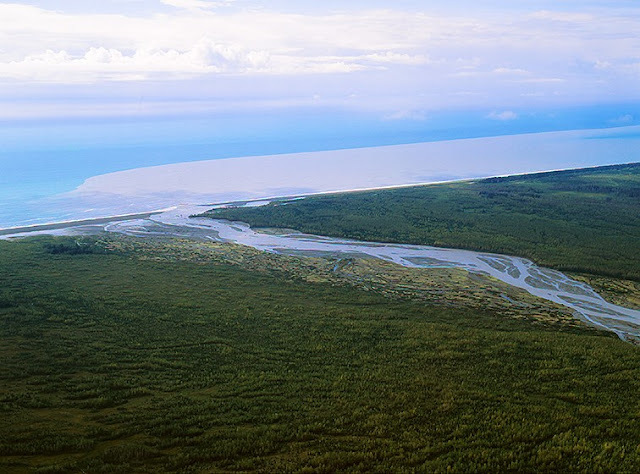 The Yakutat Forelands, #94: The spectacle of the exaggerated, and very visible, changes in the parts of Icy Bay we actually explored, is quite sobering to all of us. As the plane climbs and heads for the coast, we fall silent as each of us ponders the numerous times we have encountered life-threatening circumstances in just these past 10-days. This was NOT a casual Alaskan kayaking adventure. Our pilot suggests we have been in the middle “of an epic weather event,” and he acknowledges that he wondered what he would find in flying in to pick us up. He also notes that all flights in and out of Yakutat have been grounded for the better part of the last week, so he was not even sure if he would be allowed to come for us. As our flight path hits the coast, where we will turn south, the large river pouring out of the bay has flushed so much mud and silt into the Pacific, that it is actually changing the color of the ocean water for many square miles. Well, it IS Alaska! Go big, or go home. We have done one, and now we are going to do the other. I want to sleep on a mattress. We have all come to bow before St. Elias, and now suitably humbled, we retreat to play another day.